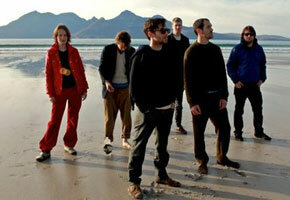 Mercury-Prize nominees British Sea Power will release their fourth album, Valhalla Dancehall, in January 2011 on Rough Trade, recorded in South East England and on the Isle Of Skye in Scotland. Valhalla Dancehall follows their 2008 Mercury Prize-nominated Do You Like Rock Music? and 2009′s Man Of Aran soundtrack. The globe-spanning, retro title Valhalla Dancehall “invokes a wild-eyed internationalism, alluding to both the Norse mythos and Jamaican discos – to the Viking heaven and Caribbean good times.” Hear it from the bookish boys themselves on their recent BBC interview here. 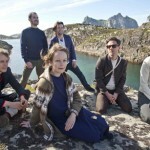 British Sea Power, always the intrepid explorers, have recently played live inside the Arctic Circle and atop the Great Wall Of China. Their new album promises to mirror the sense of wonder and awe experienced during such trips. 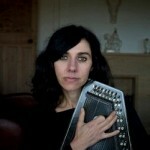 They will tour extensively for the new album and will likely make it to the U.S. by the spring. The album was co-produced by BSP and Graham Sutton, who the band worked with on their previous releases.